Gimp is a fantastic Image editor and Photos manipulator in Linux. Gimp 2.8 introduced lot of great new features like single window mode etc.. 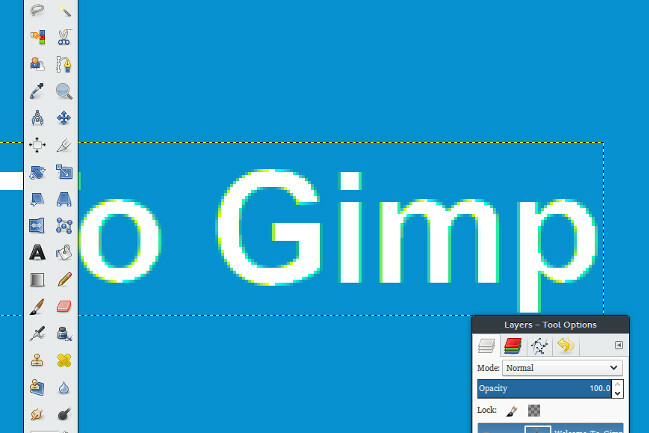 There is a very bad Bug in Gimp 2.8 that is if you type a text in a colored surface or image then there is a greenish border appear around all the letters. If you change the font or resize the font but no effect on this. All text in gimp 2.8 has greenish border when antialiasing is on. There was a bug filed and it is accepted.+bug/1010421. 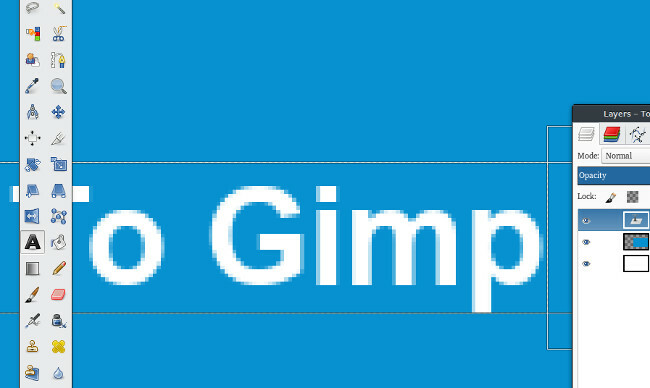 We have a solution to this problem to get rid off the green border around the text in Gimp. The bug is reported on crunchbang. and Archlinux forum. Then restart the Gimp. this will solve the problem. This is a workaround from the suggesison of a user mittens2001. Thanks archlinux friends. Just try this and say is this works for you or not. If it works just share with your friends.